Can anyone tell me what the yellow paint stamp is for? 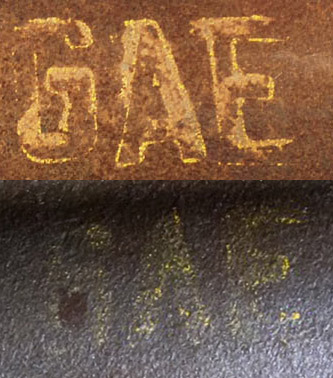 The 6AE paint stamp was a Ford ID stamp. Probably for warehousing ID purposes. 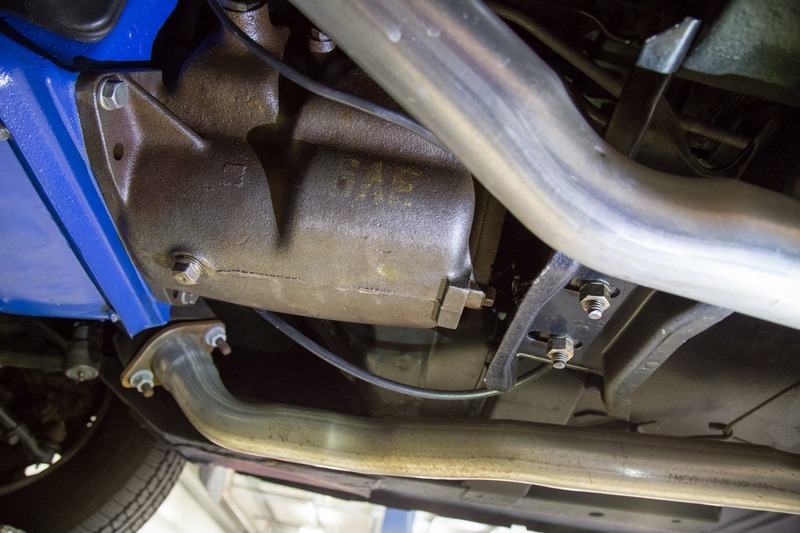 Many Borg Warner T10s had a C3AE stencil ( in yellow) on them. It is GAE, meaning a RUG-AE transmission. So in short factory Identification stamp. I was half right. ID purposes. I am not disagreeing with Danny's answer, but I gotta say that "G" sure does look like a "6".